WANDA ALEXANDER founded Panache Interior in 2001 and is personally involved in every single project. For Wanda, there is no doubt; interior design is the divine plan for her life. “ It allows me perfect self expression and at the same time, the opportunity to create a warm and appealing environment for our client". It’s a win-win situation, I get to share my gift with others. From an early age, Wanda has always had the natural ability to match colors and create. She inherited this ability from her mother, who decorated their home and the homes of relatives and friends on many occasions. She combined her 25 years of IT with numerous accredited interior design courses (averaging a 4.0 GPA), to become a successful design entrepreneur with over nineteen (19) years of experience. Her designs have been featured in local and national publications such as HGTV Magazine, Kitchen & Bath Design Magazine and the Washington Post ). With such a rare combination, Wanda’s right and left brain capabilities have enhanced the outcome of her designs. Wanda often says that it’s something that you are born with, an innate ability to visualize and create; while thinking outside-the-box. Her background in IT enhanced her abilities to collaborate with contractors and architects; creating unique designs and resolving design problems on the job. Wanda’s natural art skills contributes to fabric and color selections, and the opportunity to offer illustrations and rendering services to clients and other interior designers in the trade. 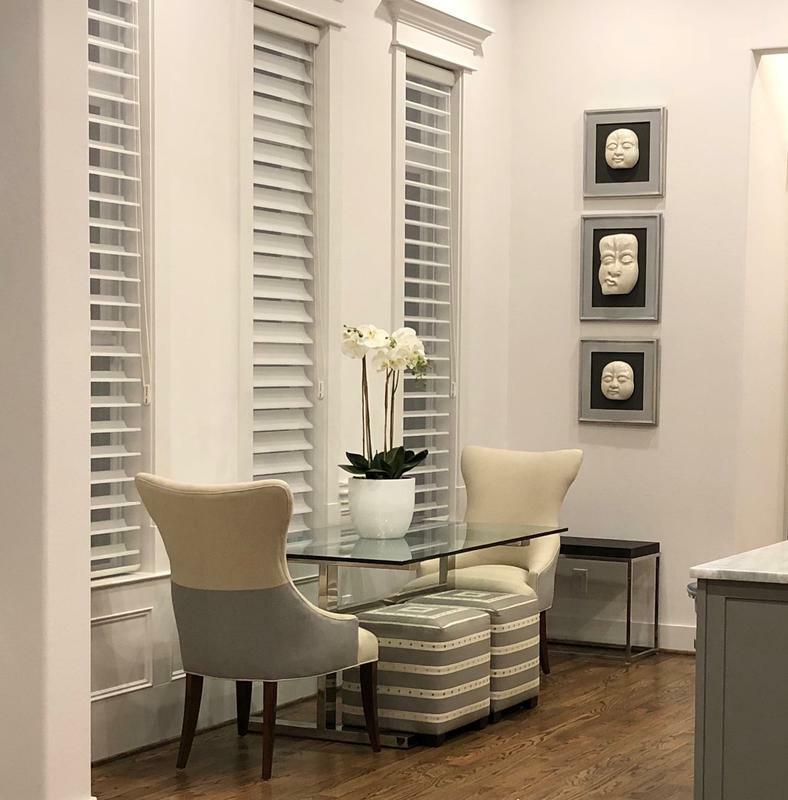 The common thread from clients' feedback is that Wanda has the natural ability to take a client’s idea or for that matter take complex concepts and visualize how to best exhibit the client’s image of how they want their home to appear. PANACHE INTERIORS BY WANDA ALEXANDER designs and decorates homes and commercial spaces in the United States and Internationally. We provide a full spectrum of design services and resources in addition to Turn-Key and Relocation services for executive homeowners who simply don't have the time. Local or out of state, it does not matter. Panache's eclectic clients range from TV personalities to professional athletes; from politicians to home builders and business professionals. We thrive on creating unique interiors for commercial and residential spaces. Panache Interiors has a reputation for mastering the art of coordinating and selecting items to create a high-end look without breaking the bank. This demonstrates why 80% of our new clients are referrals. We focus on the details and keep you apprised of the project with consistent updates until the project is completed. We work with builders, office managers and homeowners across the United States on projects that range from kitchens and bathrooms to reception areas and unfinished basements. The key to Panache's success is understanding how each client lives. It's essential to understand their needs and preferences, while conceptualizing on the interior surroundings to reflect the client's style. Panache's aptitude for matching personalities with decor has been lauded by clients as exceptional. 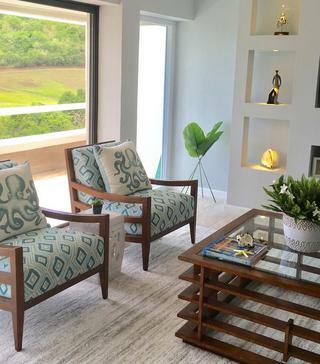 We have the innate ability to ask the right questions, collaborate with homeowners, and turn the client's expectations into a skillfully decorated space that meets their requirements. "The most rewarding aspect of what I do, is witnessing the astonishing and delightful expressions on the homeowner faces when they see their homes”.